A few weeks ago, I joined a group of friends from the Anglo American Press Association in Paris on a bike ride from Meaux back to Paris. We took a 9:51am Saturday train from Gare de l’Est to Meaux, arriving in only about 25 minutes and for a mere 8 EUR. Just across the street from the station in Meaux is the canal. This morning section of the canal was a bit rocky (dirt, not paved) but flat. I wouldn’t use a street bike–a hybrid or VTT/mountain bike is best, though you don’t need a full 21-speed. I rented my bike at L’Aventure à Vélo, not too far from Gare de l’Est. A word of caution–wherever you rent your bike from, call ahead to confirm the hours (and possibly reserve a bike). One place I called opened later than the hours stated on their website; L’Aventure à Vélo actually opened earlier than their stated hours. 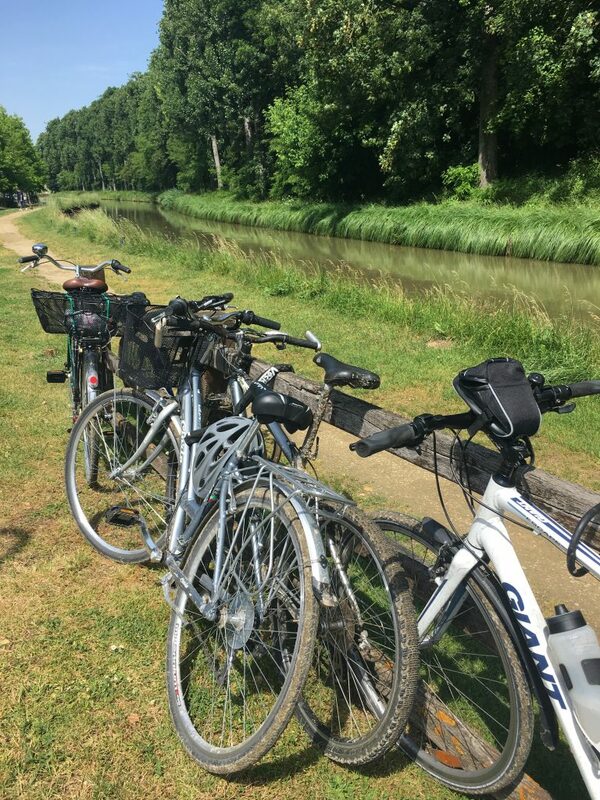 We cycled along the canal for just under 2 hours, until we reached a restaurant called Chez Romuald La Taverne in Claye-Souilly. 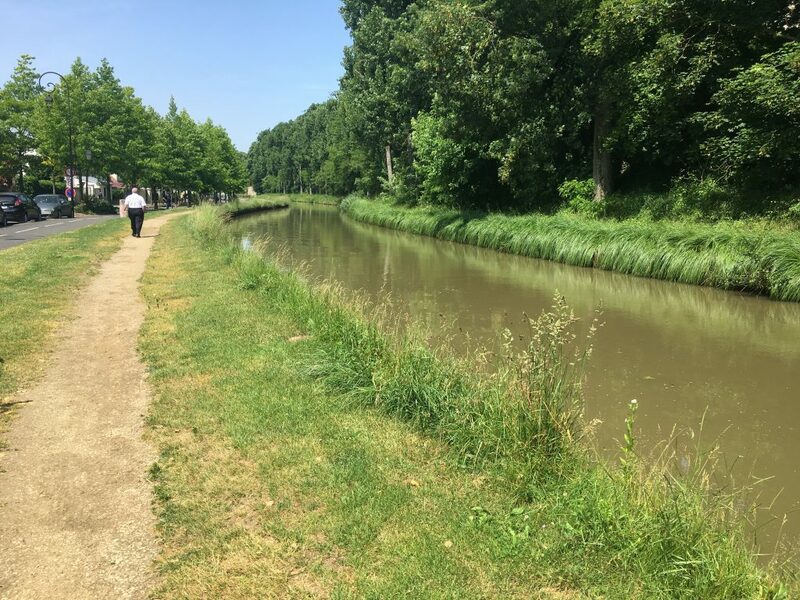 After a relaxing lunch break, we continued on, all the way back to Parc de la Villette and the Canal Saint-Martin in Paris–perhaps another 2 to 2 1/2 hours. The afternoon section was a bit hilly in spots but mostly paved. Another option if you don’t want to bother with the train is to just start out in Paris, ride to the restaurant in Claye-Souilly–or as far as you’d like–and back. There is also an RER station (Villeparisis Mitry-le-Neuf) mid-way. One caveat–on the morning section of our canal ride, we saw frequent signs stating “no biked allowed”. We weren’t the only ones cycling (and there were almost no pedestrians), but technically it’s not allowed…. Thanks to Rory of the Press Association for organizing a lovely outing!